Looking to renovate your garden? Searching for a reliable landscaper in Sydney? Your search starts and ends with Northside Tree and Garden. A trusted landscaping service with years of experience, we provide the complete garden landscaping services. Whether you’d like your landscaper to work with existing features or are looking for a complete renovation, we can breathe a new lease of life into your garden. We will look into every detail to transform your space, restore the health of your plants and even disguise features that aren’t wanted anymore. Our services include paving and pathways, flagging, stonework, rockeries, rock work and more. Water features bring a sense of calm no matter the size of the outdoor space. 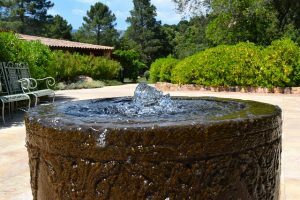 A pond or a fountain will not only add visual appeal but also value to your property. Your landscaper can install custom designed or ready to use water features and can even install underwater lighting to create the right atmosphere and mood. Our experienced horticulturalist will transform your garden. We can work with existing plants or start from scratch. We will inspect your space to assess its current state and health and provide a plan of action for the redesign. We can prepare and install a new turf, maintain your trees and plants, supply soil and plants, and install garden beds too. We will suggest ideas for water efficient gardening. Be it bordering, hedging, retaining walls or layering, we will create the necessary features to refresh your garden. We provide complete garden care and maintenance services to ensure your growing garden stays healthy through all kinds of seasons. We will nurture your garden and ensure it reaches the optimum health, shape and size. Northside Tree and Garden offers the best landscape gardening services Sydney wide, contact us today for a quick quote.